Many of our clients achieve first time passes. Send us your pictures taken on a light background, and we will add the blue background for you. Price GBP£10 per image. 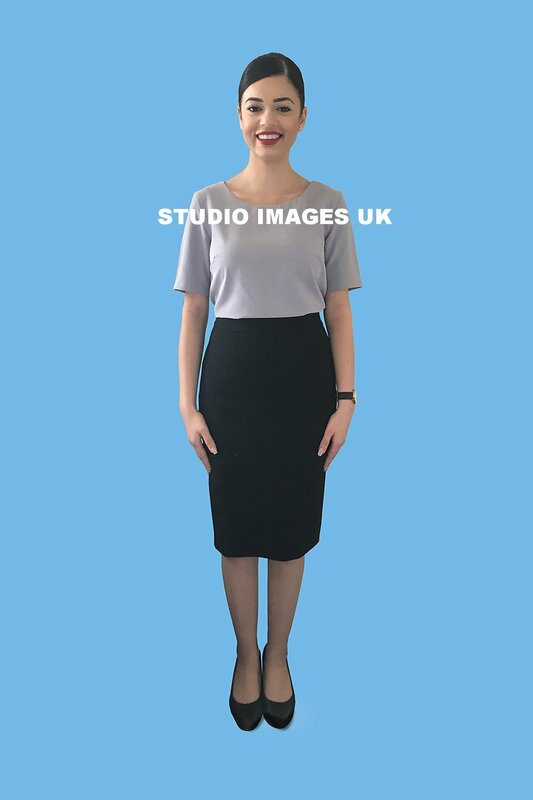 Send us a half length image taken on a light wall and we will add the light blue background and resize to passport dimensions for you. We assist you with CV review, CV writing and a professional looking personal statement. We advise on CV format, and bring out your transferable skills. Finally, we review your application pictures to ensure they meet the Qatar Airways cabin crew photo requirements. The CV writing service is just GBP £50. We also provide you with a mock video interview with lots of useful tips and interview questions based on your own CV at GBP £50. Your experience is unique and relevant, so we coach you to be original with your answers. There are times you may encounter difficulty uploading your pictures to the Emirates or Qatar recruitment portal online site. This is often because the size of your picture exceeds the file size requirements permitted by Emirates or Qatar. No problem, we can re-adjust the file sizes for you without sacrificing any picture quality. Send your images to us using the button below and we will do the resizing for you and send it back to you. The price for resizing each image is just GBP£5.